Are You Suffering From Sore Spots or Poor Ridges? We Have A Solution! Although we may do our best; the truth is that for some people, ordinary bridges and dentures are just not the right fit. For those who suffer from sore spots, poor ridges or a gag reflex it can be difficult or downright impossible to carry out daily life comfortably… but there is a solution – dental implants. Dental implants are exactly what they sound like. 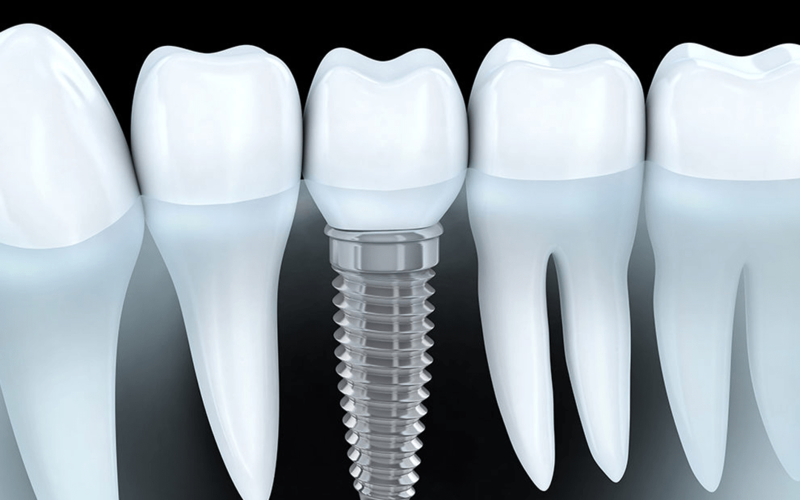 The implant itself is a metal post or frame inserted into the gum which then allows your dentist to mount the tooth / teeth onto it depending on your individual needs. To receive implants, you need healthy gums and an adequate bone structure to support the implant itself – along with careful and thorough oral health care post procedure to ensure long term success! If you’re thinking about dental implants, we recommend you come by for a chat, or call our friendly and informed staff for a consultation. We look forward to seeing you soon and seeing you smile!